The concept of countryside lodgings for rural holidays and sustainable tourism started in Italy in the 80s, particulary in Tuscany and more specifically in Chianti. 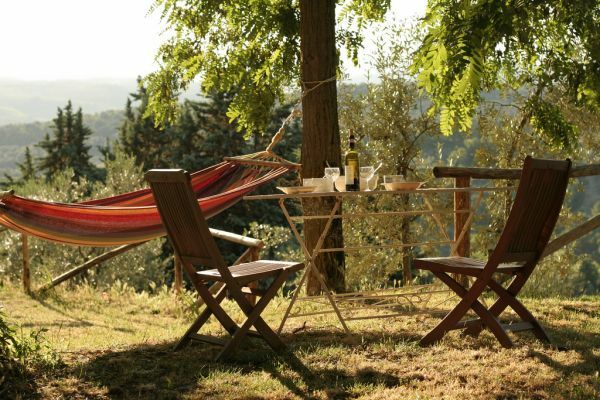 The widespread arrival of country bed & breakfasts also enabled many families to relocate from the cities of Florence and Siena, to live in the countryside and to be in touch with nature, welcoming guests from all over the world and developing a green tourism based around local food & wine. The arrival of the "agriturismo" in Tuscany (farm holiday location) allowed farmers to continue living in the countryside, in their farmhouses with an increased quality of life, still enjoying the land and retaining their rural properties. The hospitality offered by these rural properties, which have been restored and fitted with every comfort, has proved to be a revolutionary and winning formula, sought after by both Italian holidaymakers and visitors from all over the world. There are generally two different types of accommodation available: property rental or room rental on a nightly basis. For a longer stay in Chianti most guests prefer to rent a whole property with use of their own kitchen, whereas those looking for a short stay in the Tuscan countryside tend to choose a comfortable room in a guesthoues on a bed & breakfast basis. The possibilities for a stay in a beatiful farmhouse with a garden are plentiful in Tuscany and the Chianti Classico region, between Florence and Siena, is the ideal spot for a relaxing holiday in an "agriturismo". 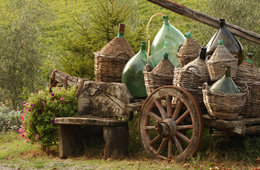 This is due to the number of high quality properties available (agriturismos and bed & breakfasts), often a renovated guesthouse or a restored farmhouse offering local products, normally with the guarantee of origin like the Gallo Nero (black rooster) label on Chianti Classico wines and organic produce or a winery with a production plant and wine tastings, an unparalleled view and excellent food. This is what makes Chianti such a favoured destination for those looking for a holiday in an agriturismo or bed & breakfast in Tuscany. From Sprintime every little village in the province of Florence, such as Greve in Chianti or Panzano in Chianti, Impruneta and San Casciano in Val di Pesa, and in the province of Siena, for example Castellina in Chianti, Radda in Chianti, Gaiole in Chianti, San Gimignano and not least Volterra is filled with visitors during the holiday season. These admirers of the Tuscan countryside and Tuscan art come looking for the perfect accommodation for their holiday in the Chianti or Tuscan countryside, from the expensive to the more economical, either a private rental with use of kitchen for example, independent apartments, villas or farmhouses, or just a room with breakfast. 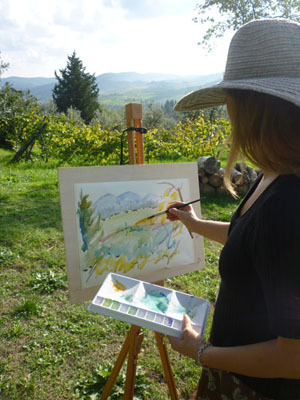 Guests staying either in rented apartments or bed & breakfast properties are very often offered the chance to visit the local Chianti wine producing farms and enjoy tastings of the famous Chianti Classico Gallo Nero wines or even participate in short cookery courses. The real testimony to the success of the Tuscan agriturismos however is the fact that upon finding the ideal holiday location in a Chianti agriturismo, guests will book their next holiday in the same farmhouse before leaving the property!